I have sometimes wondered whether including a moral message is too heavy-handed for genre fiction, including romance. All authors, whether of genre or literary fiction have something to say, but besides telling a good story, what could that be? 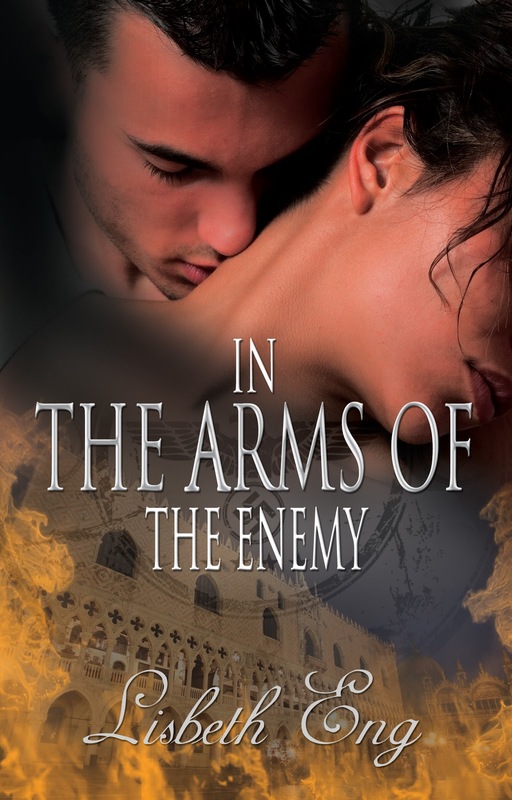 Have I included a “message” in In the Arms of the Enemy, my recently released romance novel? And If I have, what is it? I imagine that through the writing process, my own moral convictions and complexities have permeated the text, perhaps even subconsciously, and expressed themselves through my characters. But it was not until I had thrown myself into the first draft, so many years ago, that I even became conscious of the possibility. Each of my three main characters wrestles with his or her conscience. Isabella Ricci has pledged her life to fight the Germans who have occupied her country and committed atrocities against her people, including the unjust execution of her own brother. She joins the Resistance and although she is involved in a romantic relationship with Massimo Baricelli, her superior in their squadron, she agrees to “cozy up to the enemy,” eventually ending up in the arms of German army officer Günter Schumann, in a scheme to elicit intelligence to use against the Nazis. Massimo’s ethical dilemma begins when he sends his girlfriend Isabella on this espionage mission. He feels guilt over endangering her life and has to abide the thought that she is sleeping with another man, not something a macho man would easily endure. He reacts to the situation with a mixture of optimism at gaining intelligence, which will increase his status in their squadron, and resentment that he has to share his woman with another man, and the enemy, at that! Motivated by a hunger for his country’s freedom and his ambition to rise in the ranks, he foresees an end to the war, and is confident that his role on the victorious side will gain him future success and prestige. But he eventually experiences the pangs of conscience over how the decisions he has made to fight the enemy have imperiled those he loves. Isabella struggles with whether to view herself as a patriot or a wanton woman. To further complicate matters, she begins to realize that she is enjoying the attentions of her German lover. She knows that if she allows herself to develop affectionate feelings for him, she will not be able to complete her mission. Günter is blissfully unaware that the sweet Italian girl he is falling in love with is a spy, and he her target. He is less than blissful about his participation in the war. Günter, a decent man drafted into the German army, has only one experience directly killing an enemy in combat. He struggles to reconcile his own conscience with having caused the death of another human being. Later, his principles are more severely tested when he learns of atrocities committed by his own army. Romance novels vary greatly, from lighthearted and humorous in tone to dark and weighty. What moral questions do other romance writers weave into their books? Would anyone care to offer an opinion? Oh, and if you’re wondering whom Isabella ends up with in the end – Massimo or Günter – well, you’ll just have to read the book! 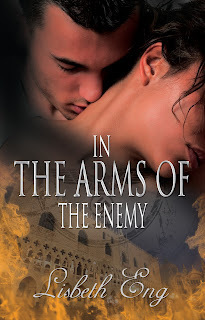 Lisbeth Eng’s novel, In the Arms of the Enemy, is available at The Wild Rose Press in paperback and e-book versions. Please visit her at www.lisbetheng.com. It’s storylines like this that makes what is one of the truer forms of good and natural storytelling. From your snippet, I am put in mind of so many war movies and books from the 1940’s that I fell in love with. War is not a pretty thing, but the heart is a wondrously confusing and often fickle thing. The story you are telling is one that (if you will excuse me,) a lot of “cookie cutter editors” don’t get. Everything in “LIFE” does not have a happy-roll-along-in the sunshine kind of role. Love can be tragic, and the journey to a happy ending is often daunting, filled with peril and sometimes bittersweet. YES! people even in a romance. Your novel sounds like a book that gives me type of story I love. I’ll bet you dollars to donuts that you have given both male characters enough appeal to make us undecided on who Isabella will choose. Yes I will read this book, because now I just have to know, who she will end up with. I congratulate you on the release of the novel of your heart. Wow, you give your characters some tough dilemmas to deal with! I have your book on my kindle and very much look forward to finding out who she chooses! congratulations and good luck with your book! Great post. Love the moral questions your characters are facing. I remember when you were reading "In the Arms of the Enemy" years ago in critique group and I always found the love triangle fascinating. It's on my Nook and next on my reading list! I give you credit for going places with romance that most romance novelists fear to tread! What an interesting premise for a book -I look foward to reading it. 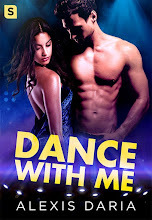 While your novel, Lis, deals with a most serious and thorny set of dilemmas, I believe that all romances (and for that matter all genre fiction) also have messages in them, be they of a moral or simply a human nature. Even a most light-hearted story will have internal and external conflicts - which require that the protagonists take an action to resolve them and grow (the intent of any story). If the wrong action is taken, there will be a price to be paid and a lesson to be learned before our hero or heroine makes the RIGHT choice the next time. Be it overcoming a personal prejudice or, standing up to a situation that requires a personal sacrifice, defending the weak, pursuing truth despite adversity, or simply the lesson that to love someone requires give and take, it is what makes the heart of a story beat. As long as the story ends with an HEA for the couple, I think a romance can have moral dilemmas and meaty substance. I write Civil War romances and have had to deal with characters, often on opposite sides of the war, expressing their feelings about the enemy, politics, slavery, killing, etc. I just hope my readers will sympathize with my characters enough to root for them and enjoy the satisfying resolution to the story. Your book sounds like a must read story for me, btw! Best of luck with it!! Great post, and very interesting.Love World War 2 stories and In The Arms of the Enemy, sounds like a ripper read and I can't wait to get my hands on it. While my books are first and foremost romantic adventures, the moral issues my characters grapple with are central to their stories. Many of my characters have secret identities. They adopt these alter egos so that they can pursue activities not generally popular in their society (the Regency beau monde). The hero of my debut pretends to be a priest so he can pursue a mission of justice on behalf of people not nearly as fortunate as himself, and he's dedicated to this mission. As you might imagine, this disguise causes trouble when he and my heroine begin to fall in love. ;) Amidst the sensuous adventure, learning how to live life both honesty and with noble purpose is a theme that runs through all my books. Sounds like you've created some complicated, multi-faceted characters with great inner and outer conflicts. That means you have a story. I don't think a writer can avoid projecting our own "moral messsage" into our writing. It's part of every decision we make about how the story will unfold. As long as you avoid any "preaching" moments and allow your readers to unravel the ethical dilemas along with your characters, you have nothing to worry about. I just bought the Kindle version of your book. Your story and the various moral questions each character is facing really peaked my interest! I like it when characters are faced with tough choices. As long as it isn't preachy, I have no problems with their being a moral message. My wip has a very Christian worldview, but is not an inspirational. I don't discuss praying or going to church, however it's evident that my characters believe in a Higher Power. I appreciate all the insightful comments, and many thanks to those who have bought or intend to buy my book!! There is often a fine line between being too "preachy" (not something a reader would likely desire) and sending a subtle "message" (even unconsciously) in one's work. I tried to be aware of that as I was writing and editing. Lis, What an intriguing tangle of desires, duty, and conscience. I am very much looking forward to reading your first book. Karen K.